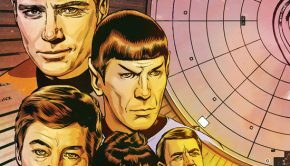 I’ve been watching Star Trek since I was 6 years old. 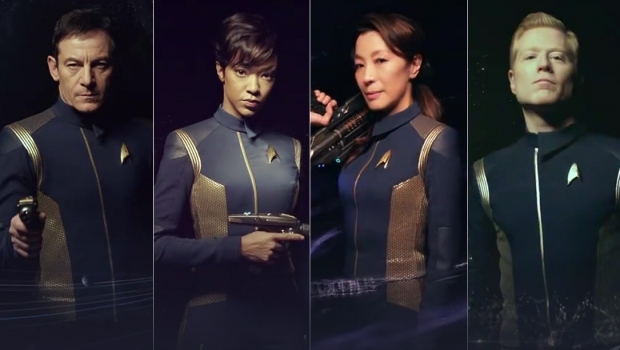 I’m fussy about my Star Trek products so if you re-imagine or re-boot it, it better be good. I was never that big of a fan of the Next Generation. To me it seemed like it should have only been half an hour long and put on Saturday Mornings, right between Space Academy and Jason of Star Command. The shows, though looking good, just didn’t have the level of drama or craftsmanship that went into the original series. There were good episodes, such as the Borg shows, but there weren’t as many good episodes as bad episodes. Voyager had a more interesting cast than TNG, but, I couldn’t really get that into it either. 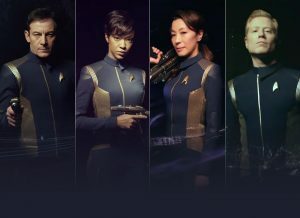 I did enjoy Deep Space 9 and the first season of Enterprise, but I didn’t get into them like I did the original shows. 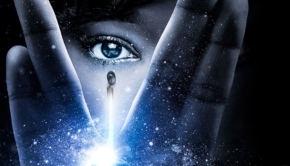 I could talk about the movies, but that’s for a different review, so let’s talk Discovery! I do have my gripes though. This show is supposed to take place 10 years before the original series, yet we see them communicating by hologram not on view screens. Why would they revert to view screens later? We also see the captain ordering the computer to beam himself and another crew person to a different area. We’ve never seen this before. 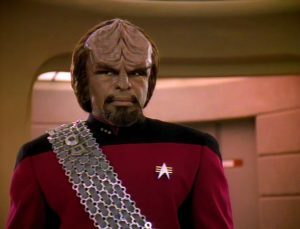 Why do they need a transporter room into Picard’s era if they could just command the computer to do it ten years before Kirk takes command of the Enterprise? And now my biggest gripe. Why does the enemy have to be Klingons? 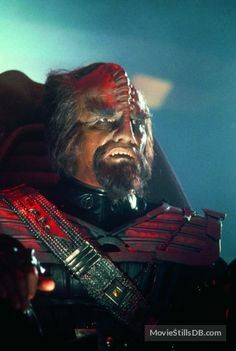 We’re never told of any war between the Federation and Klingon forces before the episode Errand of Mercy, which established the Organian peace treaty. 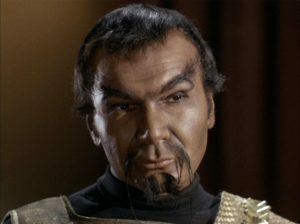 Also, the look of the Klingons has gone through yet another change in appearance. This is the third or fourth time, and this only ten years before Kirk confronts commander Kor on Organia. How do these beings continue to evolve? I can somewhat accept some kind of genetic manipulation or maybe a virus changing them from TOS to TNG era, but come on, how do they go from looking like T’Kuvma to looking like Kor, Koloth and Kang in just ten years? I would like some sort of explanation for all of this. I think the villains should have been a different race. 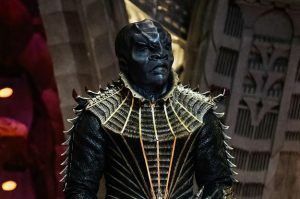 I know the producers want to appease Klingon fans, but maybe they should have had the Klingons join with this new race in an outer space Axis and just had them look the way they did in the original series. photo gallery: The ever changing faces of the Klingons!